Food preservation is the process of treating and handling food to stop or slow down spoilages like loss of quality, edibility or nutritional value. Thus, food preservation allows for longer storage  . Preservation usually involves preventing the growth of bacteria, yeasts, fungi, and other micro-organisms as well as retarding the oxidation of fats, which cause rancidity. It can also include processes that inhibit visual deterioration which can occur during food preparation, such as the enzymatic browning reaction in apples after they are cut. Preserving fruit, by turning it into jam, for example, involves boiling (to reduce the fruit’s moisture content and to kill bacteria, yeasts, etc. ), sugaring (to prevent their re-growth) and sealing within an airtight jar (to prevent recontamination)  . Some of the commonly used preservation methods been used include: irradiation, food processing, drying, canning, cooling (e.g. cold room storage, control atmosphere storage, and refrigeration), modified atmosphere packaging and so on  . The technique of drying is probably the oldest method of food preservation ever practiced by mankind. Drying is a method of food preservation that works by removing water from the food. The removal of moisture prevents the growth and reproduction of microorganisms responsible for decay and reduces the moisture mediated deterioration reactions. Drying brings about substantial reduction in weight and volume of products minimising packaging, storage and transportation costs. It enables storability of products under ambient temperatures  . Drying is excellent for most fruits and vegetables. The merit of this procedure is that the dried product weighs very little and the size is reduced considerably for easy storage. Also, a plus is that the food retains almost all of its nutrients. There are several ways to dry food which includes sun drying, oven drying and drying in a dehydrator. The first two methods are difficult. Sun drying can be done with window screens that are washed thoroughly. Oven drying is done in a shallow baking pan at a very low temperature for several hours. A dehydrator is the best, most effective and easiest way to dry food. Drying food using sun and wind to prevent spoilage has been practiced since ancient times, and was the earliest form of food curing  . Water is usually removed by evaporation (air drying, sun drying, smoking or wind drying) but, in the case of freeze-drying, food is first frozen and then the water is removed by sublimation. Bacteria, yeasts and molds need the water in the food to grow, and drying effectively prevents them from surviving in the food. Drying is quite simple compared with other methods. In fact, most of the equipment required may be ready on hand. Dried foods keep well because the moisture content is so low that spoilage organisms cannot grow. Food dehydrators are less expensive to operate but are only useful for a few months of the year. A convection oven can be the most economical investment if the proper model is chosen. A convection oven that has a controllable temperature starting at 120 degrees F. and a continuous operation feature rather than a timer-controlled one will function quite well as a dehydrator during the gardening months. For the rest of the year, it can be used as a table-top oven. People in warm, dry climates have found it easy to preserve their foods simply by properly spacing their produce out and letting the air take the moisture out of the food. Properly dried fruits and vegetables will have 80 - 90 percent of their water removed. Because drying does not violently heat food, it does not destroy as many of the nutrients as canning or cooking. Dried foods can be reconstituted by adding water or often simply consumed to dry. Although there are different drying methods, the guidelines remain the same  . 1) Transfer of water to the surface of material being dried. 2) The removal of water vapour from the surface. Dehydration prevents problems due to sugar accumulation during storage and eventual browning on-frying  . One of the most important considerations in preventing fungal spoilage during storage of dried foods is the relative humidity of the storage environment. Properly packed dried foods should be stored under conditions of low humidity to prevent moisture re-absorption. The following are the factors influencing drying process. ii) Smaller particles or thinner layers reduce the distance through which moisture in the centre of the food must travel to reach the surface and escape. b) Temperature: The greater the temperature differences between the heating medium and the food, the greater will be the rate of heat transfer into the food which provides the driving force for moisture removal. c) Atmospheric pressure and vacuum: If food is placed in a heated vacuum chamber the moisture can be removed from the food at a lower temperature than without a vacuum. Alternatively, for a given temperature, with or without vacuum, the rate of water removal from the food will be greater in the vacuum. Lower drying temperature and shorter drying times are especially important in the case of heat sensitive foods  . This is the conventional drying method, it involve the spreading of commodity in the sun on a suitable surface, hanging it from eaves of buildings, trees etc. Whilst it is a technique which requires little in the way of capital or expertise, one can give an acceptable quality in a reliable climate. It is ideal for products where little or no value is added. Sun drying does have many limitations, loss of moisture can be intermittent and irregular, and the rate of drying is generally low so increasing the risk of spoilage during the drying process, the final moisture content of the dried product can be high because of low air temperature and nutrients level (e.g. vitamins) are greatly reduced in the dried product. Crops are also liable to theft and there is need for labour to be on hand to scare away would be predators. In most part of Africa, harvested crops are dried by being left in the field for a period of about six weeks  . At this point, in most instances infestation through rats, goats, weevils, etc would have begun. This would arise from the high humidity and rainfall, causing the moisture content to fall around 17% for grains at the time of harvest. The drying method is usually unhygienically practice. It is open to contamination by dust, microbes, rodent and pest infestation. It is totally dependent on good weather. This makes the drying inconsistent and gives it very slow drying rates with danger of mould growth. Sun drying may be able to dry produce to a sufficiently low level of moisture to prevent mould growth. In case of open sun drying, sudden rains and strong winds might completely ruin the whole batch. Sun-drying often cause foods to lose some texture and taste. Foods dried by this method generally require an airtight storage container that includes an oxygen absorber. If dried too quickly, the outer cell layer of the food product may harden, causing the product to become tough and rubbery. Sun-dried foods may lose various nutrients, including vitamin C  .
Oven drying is the simplest way to dry food because there is no need for special equipment. It is also faster than sun drying or using a food dryer. But oven drying can be used only on a small scale. An ordinary kitchen oven can hold only 4 to 6 pounds of food at one time. The oven is set to the lowest possible setting and preheats to 60 C. Some gas ovens have a pilot right, which may keep the oven warm enough to dry the food. It is important to keep the oven temperature at 60˚C to 70˚C. An oven thermometer can be put on the top tray about half way back where it can be easily seen and the temperature checked half hourly  . Drying food in the oven of a kitchen range, on the other hand, can be very expensive. In an electric oven, drying food has been found to be nine to twelve times as costly as canning it. A commercial or homemade food dryer or convection oven provides automatically controlled heat and ventilation. Most households will not need a dryer unless they dry large quantities of food. A food dryer takes less electricity than drying the same amount of food in an electric oven. However, the temperature is usually lower (about 120 degrees F. or 50 C.), so drying takes a little longer than in an oven  . Solar drying relies as does sun drying on the sun as its source of energy, it differ from drying in that a structure often of very simple construction, is used to enhance the effect of the insolation. It is a sensible alternative to sun drying  . There are mainly three types of solar dryers  . The absorption or hot box type dryers in which the product is directly heated by sun, Direct drying consists of using incident radiation only, or incident radiation plus reflected radiation. Most solar drying techniques that use only direct solar energy also use some means to reflect additional radiation onto the product to further increase its temperature. Dryers combining the principles of the above two, where the product is exposed to the sun and a stream of pre-heated air simultaneously. Many types of drying systems utilize both direct and indirect solar radiation. In these types of systems, radiant energy from the sun falls directly onto the product being dried; however, in addition, a preheater also is used to raise the air temperature, which in turn, accelerates the drying rate. Acceleration of drying rate can occur in two ways: hot air can transfer some of its heat to the product being dried, thus raising its vapour pressure causing a faster moisture loss; or as temperature of air mass increases, the water-holding capacity also increases  . Solar drying does generate higher air temperature and thus lower relative humidities which are both conducive to improve drying rates, and better lower final moisture content of the dried crops  . Hence, the risk of spoilage is reduced both during the actual process and in subsequent storage. The higher temperatures are also a deterrent to insect and microbial infestation. Additionally, protection against dust, insects and other animals is enhanced by drying in an enclosed structure. All these factors contribute to an improved and more consistent product quality. Solar drying is faster because inside the dryer it is warmer than outside. It is labour saving as the product can be left in the dryer overnight or during rain. The quality of the product is better in terms of nutrients, hygiene and colour  . However, solar drying is limited in the developing countries because of cost, which may be very expensive. The initial investment capital may be too high for small scale processors. The dryers are often too complicated and so require expertise in management  . Solar drying has a tendency to over-dry the products been dried since the internal temperature that cannot be control is always very high. Drying air temperatures as high as 70˚C - 100˚C may be reached with these dryer, which are excessive for most products  . Further major drawbacks for natural convection solar dryers are the poor moist air removal which reduces drying rate  . The freeze-drying method as the names implies involve the combination of freezing process and the drying process. The process is usually subdivided in three main steps; the prefreezing, the sublimation drying and the secondary drying  . a) Prefreezing step: here the product is chilled to normal deep freeze temperature, the major part of the water content will freeze-out as ice crystals and the total water content is immobilized in its location within the product. i) Heat transfer: here heat is transferred to the product surface through the products layers to the sublimation front (point where the temperature equals that sufficient for the water to vapourise). The driving force is the temperature difference from the heater surface to the sublimitation front. The transport means are the sum of the heat conduction, the heat convection and the heat radiation. The highest temperature will be found on the product surface which is closer to the heater surface. ii) Water-vapour transport: the water vapour being produced at the sublimation front has to be transported first to the product surface and then away from the product surface, otherwise the vapour will rise and the temperature at sublimation front will also rise so that melting of the frozen product will occur. c) Secondary drying step: The sublimation drying of the ice crystals leaves a system of pores in a matrix of the product. The rest of the water content of the product has not been frozen out as ice crystals and is still distributed within the matrix material. Hence, the secondary drying is aimed at removing the bulk of the remaining moisture. It is similar to the normal drying process. When freeze drying is been used to dry food, the normal operation is that sublimation drying and the secondary drying takes place simultaneously in different parts of the product and naturally in the same piece of equipment  . The method is advantageous in that; The nutritive and organoleptic quality of freeze dried foods are comparable with quick frozen foods because the qualities of the products such as vitamins, taste, flavour and appearance have been preserved basically in the same way. When compared to quick frozen foods, the freeze dried products have the advantages that they have reduced weight and that they keep their quality at normal ambient temperature. When compared to hot air dried products, the main advantages of freeze dried foods are appearance, flavour retention and rehydration ability. Generally, the fresh colour of the product is maintained and the shape is only slightly changed, so that the product can easily be recognised for what it is. However, the most recognized feature of the freeze drying process is the amazing quality of aroma retention, the aroma components are distributed within the matrix structure. The clean water of the ice crystals can escape without entraining the volatiles, the volatile aroma components are trapped because they diffuse much more slower through the matrix material than the water vapour, so in the final product the aroma component are practically locked in. The disadvantage of the method is that it is an expensive preservation process, compared to hot air drying or quick freezing  . The long period of time required for the drying operation is a major disadvantage of the freeze drying method. Also, during the freeze-drying process, some foods must be pretreated to prevent damage such as loss of color  . 1) The material is not subjected to a high temperature over an extended time, so heat damage to colour and flovour are minimized2) A high concentration of sugar surrounding the material prevents discoluration by enzymic browning. 3) Some of the fruit acid is removed along with it as water is been removed. The lower acid content combined with the small amount of sugar added to the fruit during osmosis, produces a sweeter product than ordinary dried fruit. 4) Osmotic drying retained the sensory qualities of dehydrated samples better than air-drying of guavas  . Osmotic drying has twice ability to preserve the red color appearance, flavor, and texture of guavas than airdrying  . 1) The decrease in acidity mentioned above may be disadvantages in certain products. 2) A thin film of sugar is left on the surface of the fruit after drying, which may be undesirable. However, this can be reduced by a quick rinse in water3) Sugar treated fruit which has been dried to a very low moisture content can become rancid after staring for several weeks, which may be caused by the greater retention of flavour oils in osmotically treated fruit. The basic aim of this drying method is to shorten the drying time at a reduced temperature, which helps in retaining the basic quality of food products. Drying under vacuum is especially beneficial to crops, especially the fruits and vegetables. Vacuum drying is especially effective for heat sensitive materials and allows for closed system benefits where solvent recovery is required. A vacuum dryer is typically used for separating a volatile liquid by vaporization from a powder, cake, slurry, or other moist material. This process is fundamentally thermal and doesn’t involve mechanically separating the liquid from the material, such as in filtration or centrifugation  . The method of drying is widely applied in food industry, paper industry, wood industry (as part of timber processing) and for washing powder. It plays an important role in our life  . The various vacuum drying processes are divided into two categories: the continuous vacuum drying process, in which the vacuum is maintained continuously throughout the drying process; and the discontinuous vacuum drying process, in which phases of convection heating at atmospheric pressure alternate with phases under vacuum. The continuous vacuum drying kilns include hot platen, superheated-steam, air-steam mixture and highfrequency heated kilns. This article deals primarily with the continuous vacuum class of dry kilns  . Vacuum kilns dry lumber in an airtight chamber maintaining an air pressure lower than the normal atmospheric pressure. The boiling point of water is reduced by these conditions, which increases the rate of evaporation at the surface and results in temperature and total pressure gradients favourable to the flow of humidity through the thickness of the wood. Wood-drying in oxygen-free or oxygen-reduced environments also has other advantages. In particular, the discoloration of wood is partly or completely blocked. The main difference among the various continuous vacuum drying kilns relates to the way the wood is heated. The superheated steam and air-steam mixture method involves usinq fans to circulate superheated steam or air-steam mixture through lumber piled on, stickers (convective heating). The hut platen method (no stickers) involves direct contact with the wood (conductive heating). High-frequency vacuum drying involves the use of a radio-frequency heating field. The rapid changes in the direction of the electric field cause the dipolar water molecules in the wood (no stickers) to oscillate many millions of times per second  . This result in heating, due to molecular friction, and thus a rise in temperature and vapour pressure in the wood (heat transfer by electromagnetic radiation). The advantages of boiling point reduction brought about by using low pressure are realized in treating materials which are damaged or decompose at temperature above 40˚C, or even 15˚C. Vacuum drying had been used with conventional heating for many years, but is exceptionally slow because convection is virtually absent in a vacuum oven. Also, the decompression condition designed by vacuum reduces the boiling point of products to be dried, which gives it ability to dry thermo sensitive materials  . There's much less oxygen content in low pressure than in atmospheric pressure which can avert samples from getting oxidized and also deteriorating  . Once vacuum drying is usually performed at low pressure, water is evaporated at low temperature (the boiling point of water at 101.3 kPa is 100˚C, whereas at 12.3 kPa, it is 50˚C) and consequently the drying can be conducted at low temperature  . Vacuum drying is ideal for drying materials which will be damaged or changed when exposed to high temperatures. The vacuum removes moisture while preventing the oxidation or explosions that can occur when certain materials combine with air. There are occasions when a solvent must be recovered or materials must be dried to very low levels of moisture, and this is suitable for us to use vacuum drying  . Drying at lower temperatures reduces energy consumption. It allows costly solvents to be recovered, and eliminates expenses for additional air pollution control, and minimizes product loss caused by atmospheric contaminants, dusting, oxidation, discoloration, and chemical change. The economics of vacuum drying have become more favorable, especially for drying thick, refractory, high-value species  . Vacuum drying also exhibits its own limitations. Unless the food is packed and maintained at low humidity, the process may not totally inhibit the microorganisms that cause food spoilage, or the toxigenic and infectious organisms that cause food poisoning. In some cases, the end product may crumble easily and lose aroma. Since this process does not change the shape or size of the food item, the finished product requires more space to store than other types of dehydrated food  . The terms dielectric heating and microwave heating are used interchangeably. However, it is generally accepted that dielectric heating is electromagnetic radiation in the frequency range 1 and 100 MHz and microwave heating use the radiation in the range from 300 MHz to 300 GHz. The basic principles of heating and drying by dielectric and microwave frequencies are the same but the generation methods and equipment differs  . Microwave heating and drying for industrial purposes is allocated to the range 915 - 2450 MHz. In many industrial heating applications, the frequency is 915 MHz while almost all microwave ovens are at 2450 MHz  . Microwave drying is based on the so called dielectric heating, in which energy is absorbed by ions or molecules that are either induced or permanent dipoles. As the electromagnetic wave travels through the medium the electric and the magnetic field oscillates about zero at each location. The frequency remains unchanged but the wave length is influenced by the medium. The periodic variation of the electric and the magnetic field causes a stress on ions, atoms and molecules, which is converted to heat  . When exposed to the microwave field, polar molecules and ions align themselves with the rapidly changing direction of the field, during which heat is generated throughout the material. The energy conversion occurs by two mechanisms, which are ion conduction and dipole rotation. The latter is the most dominant in a large number of materials. Ion conduction designates the phenomena that ions are accelerated by the electric field. When the ions move they collide with other bodies by which kinetic energy is transferred. The collisions are repeated and extended to other bodies, in the field that is changing polarity many millions of times per second. The electric energy is converted to an ordered kinetic energy which is in turn converted to disordered kinetic energy that can be regarded as heat. Many molecules are dipoles and others become induced dipoles when the molecule is exerted to an electrical field. In a liquid the molecules are normally randomly oriented. However, in the electric field they tend to align with the field-dipole rotation. As the field decays to zero the dipoles returns to the random orientation and are then pulled into the other direction as the field builds up again during each period  . With the fluctuations of the field this alignment and relaxation occurs many million times per second. The electric energy is first converted into potential energy which then converts into random kinetic energy (i.e. into heat). In general, polar substances absorbs more energy than nonpolar, however the intensity of vibration depends on the molecular structure, viscosity, temperature and intermolecular bonding. Hence, the energy absorbed depends on the dielectric constant of the material and on a parameter called the “loss tangent”. Four distinct regions can be identified in terms of drying rate versus time: initial warming-up, constant drying rate, and two falling-rate periods  . During the first falling-rate period a significant quantity of free water is present and hence the power is selectively absorbed and a high drying-rate prevails. As the drying progresses, the moisture content decreases and the solid phase gradually absorb more and more of the energy. In the second falling-rate period, the total absorbed power is low. Agitation of the material improves the drying rate  . Microwave and dielectric drying possesses potential advantages over the conventional drying method. They are more rapid processes with more uniform heating that can lead to improve quality and higher yield, higher energy efficiency, better and more rapid process control, less floor space and more selective heating  . Microwave drying can be used for extremely thermolabile materials with no damage to the product. The microwave drying can be used as a pretreatment, as additional heating during the falling rate period or as a finish drying. Microwave heating can be combined with freeze drying and vacuum drying, even though negative effects of the microwaves at least previously had to be encountered at low pressures. The operational cost of microwave vacuum drying is said to be between that of spray and freeze drying  . Microwave irradiation can interact with substances, which are in the liquid, solid and gaseous states. The absorption of microwave energy is observed when polar liquids and solutions are irradiated  . This absorption is especially high in the case of water and aqueous solutions. When one irradiates solids with microwaves, the microwaves can be reflected, absorbed, or simply pass through the sample with no absorption occurring. The penetration of microwaves is dependent on the nature of the substance and specifically its dielectric properties  . During the microwave drying process in many cases the material being dried does not absorb or absorb a low level of microwave irradiation but the water molecules associated with it do. Thus the microwave drying process is caused by the property of water to absorb microwave irradiation. Consequently, removing of the water molecules from the drying materials eliminates the heating effect. In such a way the microwave drying appears to be self-regulative process. Finally selective heating of polar molecules of water results in a great time and energy saving  . Microwave Drying has a big advantages compared with conventional drying, because in microwave drying, heat is generated by directly transforming the electromagnetic energy into kinetic molecular energy, thus the heat is generated deep within the material to be dried  . Microwaves drying offer advantages on dielectric materials since it there is high conversion of microwave energy into thermal energy, independence on thermal conductivity, selectivity, and due to its self-regulation during drying  . The main disadvantages of microwave drying are that the cost per energy unit is rather high and the capital cost is high  . The water molecules in the food evaporate because they absorb infrared energy, which causes them to become thermally excited. The infrared energy penetrates into the sample, rather than having to be conducted and converted inwards from the surface of the sample  . Infrared radiation is applied to several dryers because it has advantages of increased drying efficiency and space saving  . Decreased drying time, high energy efficiency, high quality product, uniform temperature in the product and reduced necessity for air flow across the product are some of the advantages provided by the use of infrared radiation technology in dehydrating foods  . Infrared radiation drying has the unique characteristics of energy transfer mechanism  . During Infrared radiation, the energy in the form of electromagnetic wave is absorbed directly by the product without loss to the environment, leading to considerable energy savings. It is commonly known that infrared radiation is divided into three classes according to the wavelength, i.e., near-infrared radiation (NIR), midinfrared radiation (MIR) and far-infrared radiation (FIR), which have wavelength in the ranges of 0.78 to 1.4, 1.4 to 3 and 3 to 1000 μm, respectively. During infrared radiation the absorbed energy may induce changes in the electronic, vibrational and rotational states of atoms and molecules of a product. The infrared dried product quality is also improved when compared to the case of hot air drying. For example, lower losses of vitamin C, volatile components and flavours, lower loss of β-carotene and better color retention have been reported  . Although infrared radiation can accelerate a drying process, foods and agricultural materials, which are heat-sensitive in nature, may be damaged or degraded if radiation intensity, which is the main factor influencing the product temperature, is not properly applied. The drying process should be performed at a lower temperature in order to speed up the drying process without deteriorating the dried product quality  . Drum drying is a technique where a heated surface is used to provide the energy and aspirators draw the vapor outside the room. This method of drying involves slowly rotating hollow a steel drums that are heated internally by pressurised steam to 120˚C - 170˚C. A thin layer of food is spread uniformly over the outer surface by dipping, by spraying, by spreading or by auxiliary feed rollers. Before the drum has completed 1 rev (within 20 s - 3 min), the dried food is scraped off by a “doctor” blade, which contacts the drum surface uniformly along its length  . The capacity of a drum dryer is a function of the drying rate of the thin layer of material and the amount of product that adheres to the drum surface. The drying rate depends on the type of feed device, steam pressure within the drum, and the drum speed. Preheating and pre-concentration of the feed can reduce the drying load. Properties that affect drum adherence are viscosity, surface tension, and wetting power. The four variables that govern the operation of drum dryers are steam pressure, rotational speed, film thickness, and feed material characteristics. The steam pressure, or heating medium temperature, will regulate the drum’s temperature. The rotational speed of the drum determines contact time. The wet material is applied to the drum from below by splash feeders that splash the product onto the drums by rotary blades, by dip feeders where the drum dips into a tank and the concentrated material adheres to the drum, or from below by a pendulum feed pipe. Dryers may have a single drum, or double drums or twin drums. The products dries as the drums rotate and is then scraped off by the knives. The drum drying method is advantageous because it can handle a wide range of products, it has high production rates, and it has low labour requirements. The method is highly applicable to heat-sensitive liquids and pastes, which can be quickly rehydrated from the resulting flakes or powders. The layer of material on the heated drum is thin and presents no restriction to the vaporizing water. Three stages of heat transfer occur in this thin layer: the first stage consist of heating the thin layer up to its boiling point, the second stage when the water is vaporized and the material gradually changes from a liquid to a solid sate, and a final stage where the temperature of the product approaches that of the drum. Drum drying involves heat transfer from condensing steam through the metal drum to the product layer. The rate of heat transfer depends on the resistance to the removal of water at lower moisture contents and product characteristics  . Drum dryers have high drying rates and high-energy efficiencies. The main disadvantages of using the drum drying method is due to the high capital cost of the machined drums, and heat damage to sensitive foods from high drum temperatures  . Drums may however be enclosed in a vacuum chamber to dry food at lower temperatures, to improve the sensory and nutritional qualities of dried food. High velocity air may be applied to increase the drying rate or chilled air may be applied to cool the product during drying  . In general, the only effective and controllable heat transfer mechanism is conduction from heated elements. When carried out correctly, the nutritional quality, colour, flavour and texture of rehydrated foods are slightly less than fresh food . For most people, this has only minor nutritional significance as dried foods form one component in the diet. However, if drying is carried out incorrectly there is a greater loss of nutritional and eating qualities and more seriously, a risk of microbial spoilage and possibly even food poisoning . For effective drying, air should be hot, dry and moving. These factors are inter-related and it is important that each factor is correct (for example, cold moving air or hot, wet moving air is unsatisfactory). The dryness of air is termed “humidity”—the lower the humidity, the drier the air. Low relative humidity (or dry) air must be blown over foods so that it has the capacity to pick up water vapour from the food and remove it. The temperature of the air affects the humidity since higher temperatures reduce the humidity and allow the air to carry more water vapour. The relationship between temperature and relative humidity is conveniently shown on a psychrometric chart (Figure 1). Adiabatic cooling lines are the parallel straight lines sloping across the chart, which show how absolute humidity decreases as the air temperature increases. The psychrometric chart is useful for finding changes to air during drying and hence the efficiency of a drier . The “constant” and “falling” rate periods are the two distinct phases of drying (Figure 2). In the constant rate, the surface of the food remains wet and it can therefore be spoiled by moulds and bacteria. In the falling rate the surface is dry and the risk of spoilage is much smaller. The food should therefore be dried to a weight that corresponds to the end of the constant rate period as quickly as possible. To ensure safe storage the final moisture content of the food should be less than 20 % for fruits and meat, less than 10 % for vegetables and 10% - 15% for grains . Low moisture content is only an indication of food stability and not a guarantee. The availability of moisture for microbial growth, usually referred to as “Water Activity” (aw) is very important in food preservation . Water Activity varies from 0 - 1.00 and the lower the value the more difficult it is for micro-organisms to grow on a food. Examples of moisture contents and aw values for selected foods and their packaging requirements are shown in Table 1. Food constituents like the low molecular weight species (LMW) such as sugars, salts and organic acids and of high molecular weight (HMW) hydrocolloids, contained in a water insoluble cellular matrix of macromolecules, mostly carbohydrates, including insoluble pectic substances, hemicelluloses and proteins, interact with water to a different extents, and have the ability to lower its vapour pressure (Figure 3). e) Decreasing reactant concentration at high water contents (dilution effect). 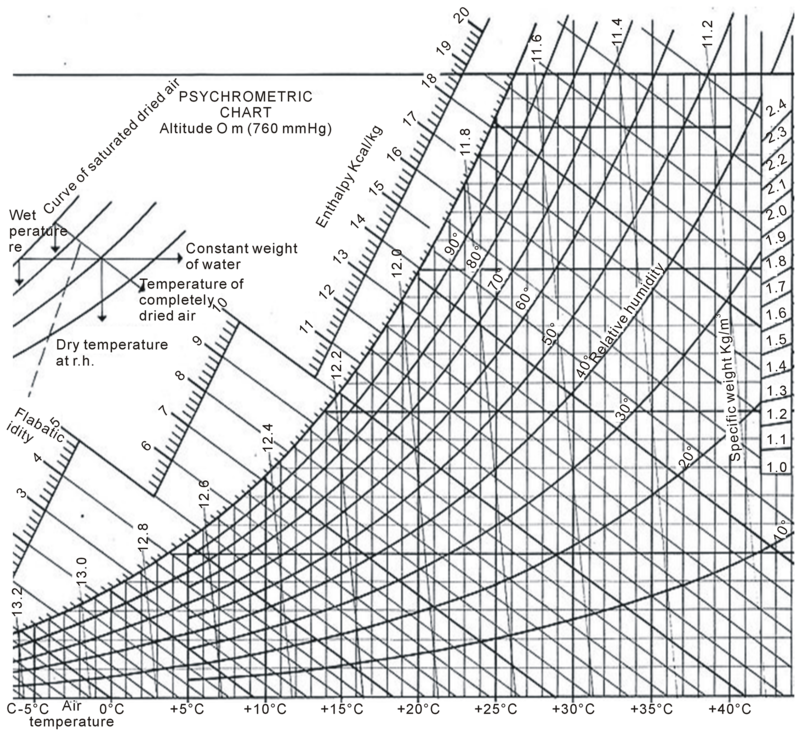 Figure 1.Psychrometric chart showing the relationship between temperature and relative humidity . Figure 2.Graphical illustration of drying phases . The dotted line is the margin between the two phases of drying. Table 1 . Food Type characteristics and packaging requirements. Figure 3.Basic structural elements of fruits and vegetables Soured from . Water activity equilibrium (thermodynamics) and rate of diffusion (dynamics of mass transfer) are the two main factors influencing moisture migration in a multi-domain food. Multi-domain foods with regions formulated to different water activities cause the whole system to be in a non-equilibrium state . The smaller the pores size in the matrix of the food domain, the slower the moisture migration. In addition, membranes, crystals, and lipids all contribute as barriers to moisture migration in a multi-domain system. The more the crystals or lipid interferences in a system, the slower the diffusion of water . The three properties that are important for moisture barrier selection are: 1) the barrier should have pores small enough to not allow water to pass through or to slow down the diffusion process, 2) the barrier should not contain structures similar to the permeant molecules and 3) the barrier must be adhesive to the food system. Moisture migration in multi-domain food systems can lead to both physical and chemical changes that reduce the shelf-life of the food. The transfer of moisture is controlled by both thermodynamics and dynamics. Knowledge of these factors leads to several factors that can be used to reduce the rate of transfer of moisture. 1) Formulate the domains to as close to the same aw as possible through the use of selected solutes. 2) Use ingredients with a high moisture content monolayer and high excess surface binding energy to inhibit 3. Mechanically treat the product to create as small a pore size and pores size distribution as possible. 4) Add ingredients that increase the local viscosity so as diffusion and mobility. 5) Add an edible barrier between the domains. Water activity is one of the most critical factors in determining quality and safety of the goods you consume every day. Aw affects the shelf life, safety, texture, flavor, and smell of foods . It is also important to the stability of pharmaceuticals and cosmetics. While temperature, pH and several other factors can influence the rate at which organisms will grow in a product, water activity may be the most important factor in controlling spoilage. Most bacteria, for example, do not grow at water activities below 0.91, and most molds cease to grow at water activities below 0.80 . Water activity—not water content—determines the lower limit of available water for microbial growth. In addition to influencing microbial spoilage, aw can play a significant role in determining the activity of enzymes and vitamins in foods and can have a major impact on their color, taste, and aroma . Aw is a measure of the energy status of the water in a system. There are several factors that control water activity in a system. Colligative effects of dissolved species (e.g. salt or sugar) interact with water through dipole-dipole, ionic, and hydrogen bonds. Capillary effect, where the vapor pressure of water above a curved liquid meniscus is less than that of pure water is because of changes in the hydrogen bonding between water molecules. Surface interactions in which water interacts directly with chemical groups on undissolved ingredients (e.g. starches and proteins) through dipole-dipole forces, ionic bonds (H3O+ or OH-), van der Waals forces (hydrophobic bonds), and hydrogen bonds . It is a combination of these three factors in a food product that reduces the energy of the water. These factors can be grouped under two broad categories osmotic and matric effects . Due to varying degrees of osmotic and matric interactions, water activity describes the continuum of energy states of the water in a system. The water appears “bound” by forces to varying degrees. This is a continuum of energy states rather than a static “boundness”. Water activity is sometimes defined as “free”, “bound”, or “available water” in a system. Although these terms are easier to conceptualize, they fail to adequately define all aspects of the concept of aw . As a potential energy measurement, it is a driving force for water movement from regions of high water activity to regions of low water activity. Examples of this dynamic property of aw are; moisture migration in multidomain foods (e.g. cracker-cheese sandwich), the movement of water from soil to the leaves of plants, and cell turgor pressure. Since microbial cells are high concentrations of solute surrounded by semi-permeable membranes, the osmotic effect on the free energy of the water is important for determining microbial water relations and therefore their growth rates . The water in a sample appears to be “bound” by forces to varying degrees. This is a continuum of energy states, rather than a static “boundness”. Water activity instruments measure the amount of free (sometimes referred to as unbound or active) water present in the sample. A portion of the total water content present in a product is strongly bound to specific sites on the chemicals that comprise the product . These sites may include the hydroxyl groups of polysaccharides, the carbonyl and amino groups of proteins, and other polar sites. Water is held by hydrogen bonds, ion-dipole bonds, and other strong chemical bonds. Some water is bound less tightly, but is still not available (as a solvent for water-soluble food components). Transition of amorphous materials from the glassy state to the rubbery state or vice versa is influenced by plasticization by water or other ingredients, the molecular weight of ingredients and the amount and type of bonding interactions . The retention of the nutritional value of food products is dependent mainly on the freshness of the raw material and optimal control of associated drying conditions . The heat effects involve in drying affect the protein components in foods especially the thiosulphide groups . Its causes changes in the solubility of proteins, hydrophobic bond break has been attributed greatly to denaturation during drying compared with hydrogen and ionic bonding, which rarely contribute any effect . Safe moisture content (SMC) is the extent to which moisture can be withdrawn from food crops during drying that such crops can be considered safe for storage. The SMCs varied from food crops to another. This report indicates that the earlier reported SMCs of some food crops categories like roots and tuber crops (Table 2), fruits and vegetables (Table 3), grains and legumes (Table 4) and cash crops (Table 5). It is observed that each of the bulk nutrients of foods may play a major role in determining the eventual SMC of such drying crops. The effects exerted by each nutrient may however become synergistic. Of course, each bulk nutrients contribution should vary remarkably depending on their ability to interact with migrating moisture with food system. This work is therefore aimed to determine the levels of each bulk nutrients contributions to dehydration process, which may eventually led to the SMC in dried crops. 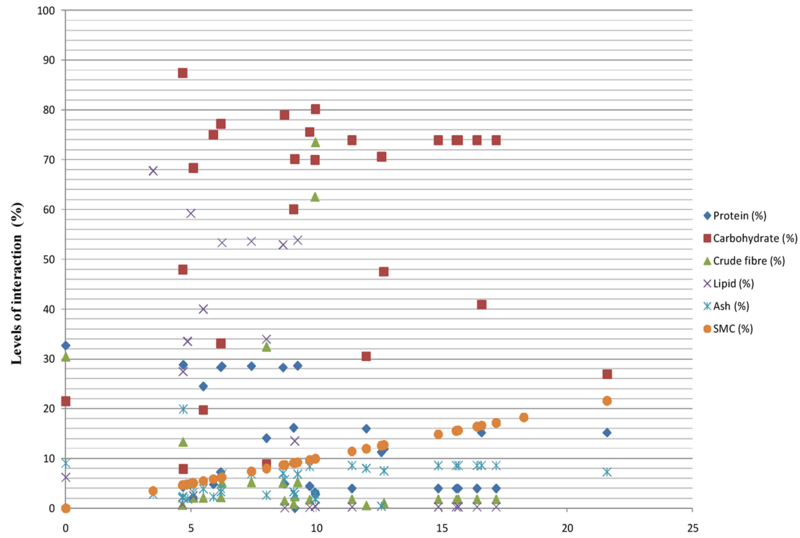 Graphical tool (scattered plots) was employed to determine the strength of association between moisture content and each of the bulk nutrients in various dried food categories. The scatter plots were obtained by plotting the minimum moisture levels and that of other bulk nutrients earlier reported (Tables 2-5). These were used to evaluate the association between each of the bulk nutrients and minimum moisture content. It was hypothesised that the levels of nutrients interaction with a migrating moisture is inversely proportional to the amount of each nutrients above the threshold boundary formed by the minimum moisture content of foods in the scattered plot graphs. More so, the nutrients levels that were found below the threshold boundary formed by the moisture levels provides stronger bond association with moisture contents of the dried products, which shows better level of contributions to the eventual SMCs of crops. The reverse is the case for the nutrients levels that were higher than the SMC boundary. Therefore the areas above the SMC threshold indicate weak interactions between moisture and such macromolecules, and the areas below indicate the existence of strong association. The type of association contributed by each nutrients could be ionic, vander waal, or covalent bonds. The level of each nutrient above the SMC threshold was determined by calculating the percentages of the number of each nutrient above the SMC threshold boundary over that of the total number of such nutrients collected. It was observed that the several moisture contents formed a boundary within the 6% - 14% in grains (Figure 4). 84%, 19.048%, 16%, 0%, and 0% of the carbohydrate, protein, lipid, crude fibre and ash contents collected were respectively found to be above the SMC threshold boundary. Thus, carbohydrate, protein, and lipid contribute to SMC of grains in decreasing order with lesser interactions with moisture. Carbohydrate levels were mostly found above the SMC boundary (Figure 4). This indicates the poor interaction of carbohydrate with moisture during its migration in drying grains. The crude fibre and the ash content were found to play the most remarkable influence in the level of moisture migration in grains, and hence their eventual safe moisture levels. Most of the bulk nutrients were distinctly separated for the cash crops (Figure 5). This indicates that there is a very little association among bulk nutrients and also moisture in the cash crops. 88.0% of the carbohydrate levels reported for cash crops were found above the SMC threshold boundary. Hence, carbohydrates may provide weak bond interaction during moisture migration within the dried cash crops. The carbohydrates contribution to the eventual SMC of most dried cash crops is most certainly the least of all the nutrients. This observation is similar to the observation for grains in this report. However, 0%, 0%, 16.67%, and 20% of ash, crude fibre, lipid, and protein respectively were also found above the threshold boundary. Thus, protein and lipid provides high bond interaction with migrating moisture than carbohydrates in drying cash crops. Similar to the report obtained for grains, the other macromolecules (ash, and crude fibre) exhibits the most bond interaction during moisture migration within the cash crops. The two nutrients therefore have the strongest bond contributions to the eventual levels of SMC of dried cash crops. The proportion of carbohydrate, lipid, protein, crude fibre, and ash above the SMC threshold boundary were respectively at 100%, 60%, 34.29%, 17.39%, and 0% in fruits and vegetables collected (Figure 6). Unlike the observation found in grains and cash crops, where both crude fibre and ash plays equally the most important role. Table 2. Safe moisture content and proximate composition of dried root and tuber crop and their products. Figure 4. Safe moisture levels of different dried grains, and its interactions with their proximate contents. Figure 5. Safe moisture levels of different dried cash crops, and its interactions with their proximate contents. 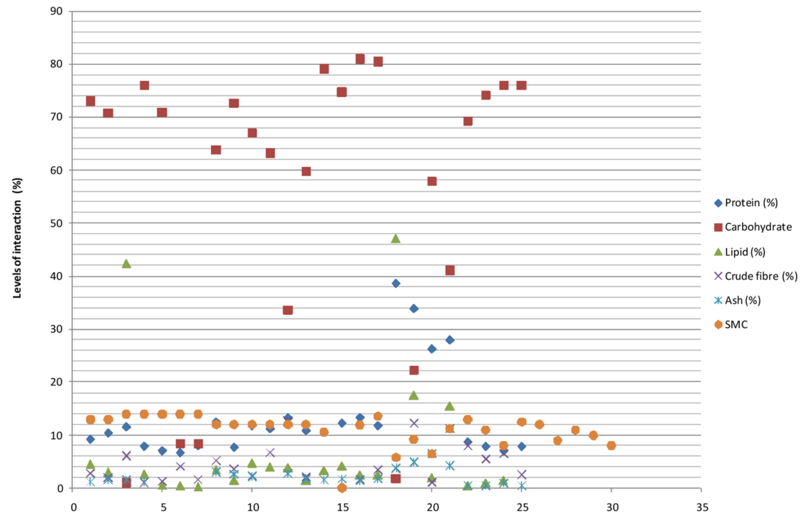 Figure 6.Safe moisture levels of different dried fruits and vegetables, and its interactions with their proximate contents. Table 3. Safe moisture contents and proximate composition of dried fruits and vegetable. under estimated. Earlier reports had also implicated that mineral salts and crude fibre prevents moisture loss during drying . The SMCs and proximate composition of some dried root and tuber crops, including products derived from them are as indicated in Table 2. It was difficult to predict the interaction between their nutrients and migrating moisture content for root and tuber crops using the scattered plot graph method. The level of interaction of these nutrients is not so evident in root and tuber crops (Figure 7) since only the moisture contents of the fresh tubers are been reported. This may be due to the fact that roots and tubers are rarely preserved by drying, except for their eventual processed products like fufu, gari, and chips. Table 4.Safe moisture contents and proximate composition of some dried grains. Table 5.Safe moisture contents and proximate composition of some dried cash crops. Figure 7. Safe moisture levels of different dried roots and tubers, and its interactions with their proximate contents. cash crops, and root and tuber crops was within 6% - 14%, 0% - 22%, 0% - 30%, and 0% - 10% respectively. The levels of crude fibre and ash provide the strongest bond interaction with migrating moisture in drying food crops, and are of utmost important in the determination of SMC. The carbohydrate level of food crops was of no significance for contribution in the determination of SMC of food crops. The assistance of Miss Tolulope Bisi-Adeniyi during collection of literature materials is highly appreciated. Anand, C., Sukesha, S. and Thangjam, S. (2012) FPGA Based Remote Monitoring System for Food Preservation. International Journal of Advances in Electonics Engineering, 2, 50-55. FAO (1995) General Procedure for Food and Vegetable Preservation. Food and Agricultural Organisation Agricultural Service Bulletin. FAO of the United Nations, Rome, 37-116. IITA (2007) Southern Sudan, Equatoria Region, Cassava Baseline Survey Technical Report. 1st Edition, Ibadan (Nigeria): Eastern Africa Root Crops Research Network (EARRNET), International Institute of Tropical Agriculture (IITA), Kampala (Uganda); International Institute of Tropical Agriculture (IITA)/Natural Resource Institute (NRI), Dar-es-Salaam (Tanzania); Agricultural Research Corporation (ARC)/Ministry of Agriculture and Forestry (MAF)-Southern Sudan; Catholic Relief Services (CRS), East Africa Regional Office, Nairobi. Troftgruben, J. and Keith, M. (1984) Food Dryer. University of Illinois at Urbana-Champaign, College of Agriculture, Cooperative Extension Service. http://www.aces.uiuc.edu/vista/html_pubs/DRYING/dryfood.html. Gatea, A.A. (2011) Design and Construction of a Solar Drying System, a Cylindrical Section and Analysis of the Performance of the Thermal Drying System. African Journal of Agricultural Research, 6, 343-351. UNIDO (2013) Sun and Solar Drying, Techniques and Equipment. United Nations Industrial Development Organisation (UNIDO), Geneva, 2-8. Sanni, L.O., Onadipe-Phorbee, O. and Alenkhe, E.B. (2012) Low-Cost Sustainable Cassava Drying Technologies in West Africa. International Institute of Tropical Agriculture (IITA), Ibadan. Weiss, W. and Buchinger, J. (2003) Solar Drying: Establishment of a Production, Sales and Consulting Infrastructure for Solar Thermal Plants in Zimbabwe. Arbeitsgemeinschaft Erneuerbare Energie (AEE) of the Institute for Sustainable Technologies, Austria. Lorentzen, J. (1981) Freeze Drying. Vol. 1, First Edition, In: Thorne, S., Ed., Developments in Food Preservation, Applied Science Publisher, London and Englewood. Pruthi, J.S. (1999) Quick Freezing Preservation of Foods: Foods of Plant Origin. In: Pruthi, J.S., Ed., 1st Edition, Allied Publishers, Mumbai, 535. 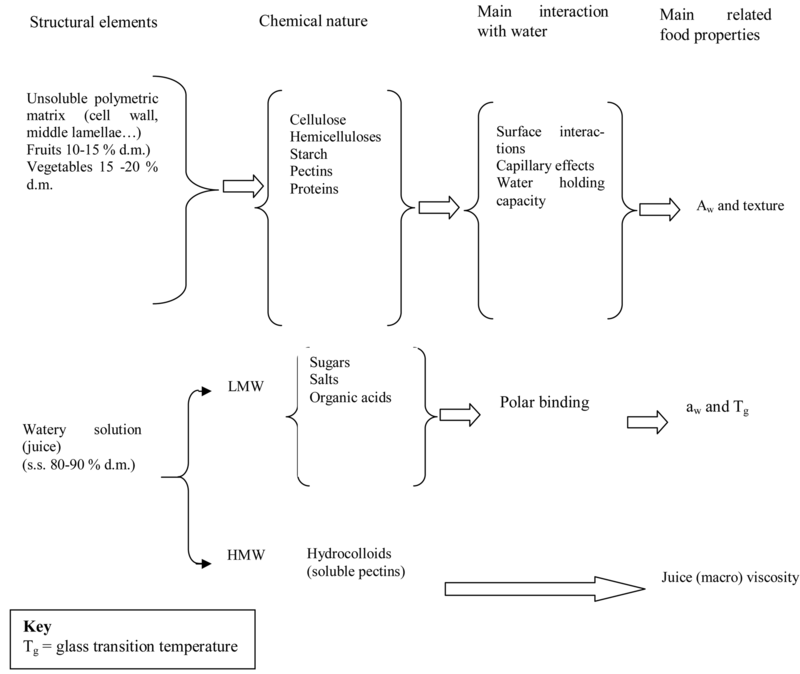 Tortoe, C. (2010) A Review of Osmodehydration for Food Industry. African Journal of Food Science, 4, 303-324. Sattho, T. and Yamsaengsung, R. (2005) Vacuum Drying of Rubberwood. In PSU-UNS International Conference on Engineering and Environment (ICEE-2005), T11-3.4, 1-5. University of Novi Sad, Faculty of Technical Sciences, Trg D. Obradovića 6, 21000 Novi Sad, University of Novi Sad, 1-5. Puschner, H.A. (2013) Microwave Vacuum Drying for Advanced Process Technology: Rapid and Gentle Vacuum Drying for Thermo Sensitive Products with Low Thermal Conductivity. Puschner and Mlkrowellen Energietechnik Incorporation, Bremen, 7 p.
KTH (2013) Microwave Drying. 1-8. Stockholm (Sweden): KTH-Royal Institute of Technology Royal Institute of Technology SE-100 44, 1-8. ElSayed, N.I., Mekawy, M.M. and Megahed, F.M. (2011) Uncertainty of Moisture Measurements Methods for Grains. Australian Journal of Basic and Applied Sciences, 5, 582-587. Swasdisevi, T., Devahastin, S., Ngamchum, R. and Soponronnarit, S. (2007) Optimization of a Drying Process Using Infrared-Vacuum Drying of Cavendish Banana Slices. Songklanakarin Journal of Science and Technology, 29, 809- 816. Nimmol, C. (2010) Vacuum Far-Infrared Drying of Foods and Agricultural Materials. The Journal of the King Mongkut’s University of Technology North Bangkok, 20, 37-44. UNIDO (2013) Classiifiicatiion of Dryers. United Nations Industrial Development Organisation (UNIDO), Geneva. Orak, H.H., Aktas, T., Yagar, H., Isbilir, S.S., Ekinci, N. and Sahin, F.H. (2011) Antioxidant Activity, Some Nutritional and Colour Properties of Vacuum Dried Strawberry Tree (Arbutus unedo L.) Fruit. Acta Scientiarum Polonorum, 10, 327-338. Decagon. (2011) Water Activity Fundamentals. AquaLab Application Note. 09/2011 Edition. Decagon Devices Incorporation, Pullman, 1-3. Ojo, O.I. and Ojo, J.O. (2009) A Comparative Study of Effects of Storage on Basic Nutritional Composition of Two Major Edible Dioscorea dumentorum Varieties. Global Journal of Pure and Applied Sciences, 15, 353-355. Chukwu, G.O., Ezenwa, M.I.S., Osunde, A., Asiedu, R. and Ogbogu, N.J. (2007) Qualities of Yam Tubers Grown on Typic Paleudults: Hybrid Yam and Fertilizer Effects. Scientific Research and Essay, 2, 508-511. Adebowale, A.A. and Sanni, L.O. (2011) Cereals and Tuber Technology Lecture Note of the Department of Food Science and Technology, University of Agriculture, Abeokuta. http://www.unaab.edu.ng/attachments/455_FST%20501%20lecture%20note-DR%20ADEBOWALE.pdf. Ojokoh, A.O. and Gabriel, R.A.O. (2010) A Comparative Study on the Storage of Yam Chips (Gbodo) and Yam Flour (Elubo). African Journal of Biotechnology, 9, 3175-3177. Chijindu, E.N. and Boateng, B.A. (2008) Effect of Nutritional Content of Processed Cassava Chips on Development of Prostephanus Truncatus (Horn). World Journal of Agricultural Sciences, 4, 404-408. Williams, R.D., Wick, L., Bierman, H.R. and Olmsted, W.H. (1940) Carbohydrate Values of Fruits and Vegetables. Journal of Nutrition, February, 1-12. Oloyede, O.B. and Afolabi, I.S. (2002) The Preservative Efficacy of Nspri Multipurpose Dryer on Ascorbic Acid and Polyphenol Content of Lycopersicum esculentum (Tomato). Bioscience Research Communication, 14, 8-15. Afolabi, I.S. and Ofobrukweta, K. (2011) Physicochemical and Nutritional Qualities of Carica Papaya Seed Products. Journal of Medicinal Plants Research, 5, 3113-3117. Appiah, F., Kumah, P. and Idun, I. (2011) Effect of Ripening Stage on Composition, Sensory Qualities and Acceptability of Keitt Mango (Mangifera indica L.) Chips. African Journal of Food and Nutritional Development, 11, 5096- 5109. Williams, J.O., Babarinsa, F.A. and Afolabi, I.S. (2006) Mango Chips Production Using Multipurpose Drier. 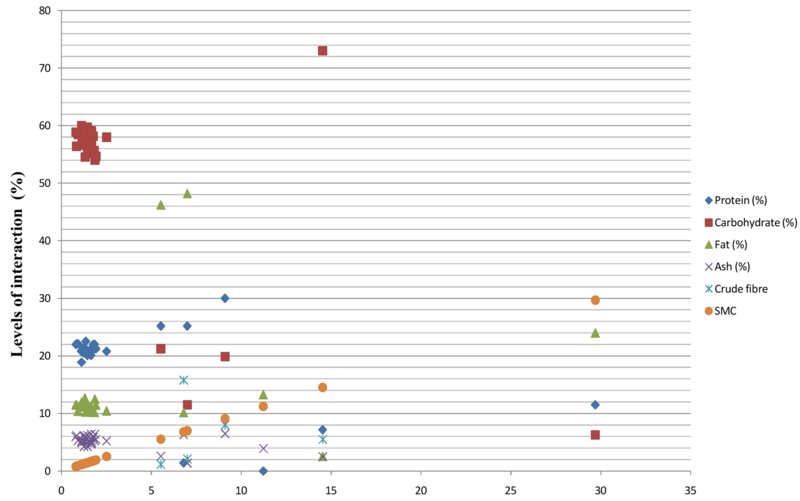 Raw Materials Update, 6, 30-31. Afolabi, I.S., Williams, J.O., Babarinsa, F.A. and Otitodun, O.G. (2006) Physicochemical Properties of Mango Cultivars (Mangifera indica L.) Dried with a Hybrid Dryer. Nigerian Drying Symposium, 2, 93-96. Afolabi, I.S. (2008) Chemical Qualities of Oils from Some Fresh and Market Vegetable Crops within Kwara State of Nigeria. Biokemistri, 20, 71-75. Fowomola, M.A. (2010) Some Nutrients and Antinutrients Contents of Mango (Magnifera indica) Seed. African Journal of Food Science, 4, 472-476. Unuigbe, O.M. and Ozekhome, M.C. (2009) Comparative Quality Assessment of Flour from Sun-Dried and Heated Air-Dried Green Banana (Musa sapientum) and Plantain (Musa paradisiaca). Nigeria Food Journal, 27, 114-118. Fagbohun, E.D., Abegunde, O.K. and David, O.M. (2010) Nutritional and Mycoflora Changes During Storage of Plantain Chips and the Health Implications. Journal of Agricultural Biotechnology and Sustainable Development, 2, 61-65. Akanmu, O.A. and Omobuwajo, T.O. (2009) Utilization of Calabash Nutmeg Seeds in the Production of Bouillon Cubes. Nigeria Food Journal, 27, 107-113. Essien, E.B., Amaefule, O.I. 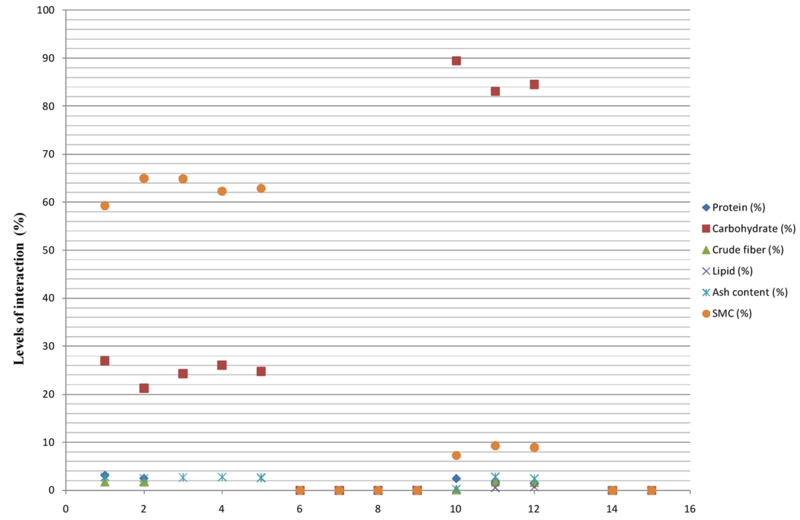 and Ihenacho, E. (2009) Proximate Analysis and Physico-Chemical Properties of Water Melon (Citrullis lunatus) Seeds. Nigerian Journal of Biochemistry and Molecular Biology, 24, 6-10. Bankole, S.A., Osho, A., Joda, A.O. and Enikuomehin, O.A. (2005) Effect of Drying Method on the Quality and Storability of ‘Egusi’ Melon Seeds (Colocynthis citrullus L.). African Journal of Biotechnology, 4, 799-803. Grausgruber, H., Scheiblauer, J., Schönlechner, R., Ruckenbauer, P. and Berghofer, E. (2004) Variability in Chemical Composition and Biologically Active Constituents of Cereals. In: Vollmann, J., Grausgruber, H. and Ruckenbauer, P., Eds., Genetic Variation for Plant Breeding Proceedings of the 17th EUCARPIA General Congress, 8-11 September, EUCARPIA, Tulln, 23-26. Almeida-Dominguez, H.D., Serna-Saldivar, S.O., Gomez, M.H. and Rooney, L.W. (1993) Production and Nutritional Value of Weaning Foods from Mixtures of Pearl Millet and Cowpeas. Cereal Chemistry, 70, 14-18. Mohammed, N.A., Ahmed, I.A.M. and Babiker, E.E. (2011) Nutritional Evaluation of Sorghum Flour (Sorghum bicolor L. Moench) during Processing of Injera. International Journal of Biological and Life Sciences, 7, 35-39. Kamil, M.M., Hussien, A.M.S., Ragab, G.H. and Khalil, S.K.H. (2011) Detecting Adulteration of Durum Wheat Pasta by Ftir Spectroscopy. Journal of American Science, 7, 573-578. Amoo, I.A., Adebayo, O.T. and Oyeleye, A.O. (2006) Chemical Evaluation of Winged Beans (Psophocarpus tetragonolobus), Pitanga Cherries (Eugenia uniflora) and Orchid Fruit (Orchid Fruit Myristica). African Journal of Food Agriculture and Development, 6. http://www.bioline.org.br/request?nd06014. Arawande, J.O. and Borokini, F.B. (2010) Comparative Study on Chemical Composition and Functional Properties of Three Nigerian Legumes (Jack Beans, Pigeon Pea and Cowpea). Journal of Emerging Trends in Engineering and Applied Sciences, 1, 89-95. Elemo, G.N., Elemo, B.O., Oladunmoye, O.O. and Erukainure, O.L. (2011) Comprehensive Investigation into the Nutritional Composition of Dehulled and Defatted African Locust Bean Seed (Parkia biglobosa). African Journal of Plant Science, 5, 291-295. Nweke, F.N. (2010) Rate of Water Absorption and Proximate Analysis of Different Varieties of Maize Cultivated in Ikwo Local Government Area of Ebonyi State, Nigeria. African Journal of Biotechnology, 9, 8913-8917. Jayeola, C.O. and Oluwadun, A.O. (2010) Mycoflora and Nutritional Components of Cocoa Powder Samples in South West Nigeria. African Journal of Agricultural Research, 5, 2694-2698. Ingale, S. and Shrivastava, S.K. (2011) Nutritional Study of New Variety of Groundnut (Arachis hypogaea L.) JL-24 Seeds. African Journal of Food Science, 5, 490-498. Iyayi, A.F., Akpaka, P.O. and Ukpeoyibo, U. (2008) Rubber Seed Processing for Value-Added Latex Production in Nigeria. African Journal of Agricultural Research, 3, 505-509. Odebunmi, E.O., Oluwaniyi, O.O., Awolola, G.V. and Adediji, O.D. (2009) Proximate and Nutritional Composition of Kola Nut (Cola nitida), Bitter Cola (Garcinia cola) and Alligator Pepper (Afromomum melegueta). African Journal of Biotechnology, 8, 308-310. Mohammed, M.I. and Sulaiman, M.A. (2009) Proximate, Caffeine and Tannin Analyses in Some Brands of Tea Consumed in Kano Metropolis, Nigeria. Bayero Journal of Pure and Applied Sciences, 2, 19-21. Wiley, H.W. (2006) Composition of Coffee. In: Wiley, H.W., Ed., Beverages and Their Adulteration: Origin, Composition, Manufacture, Natural, Artificial, Fermented, Distilled, Alkaloidal and Fruit Juices. First Edition, Kessinger Publishing, Whitefish, 440. Afolabi, I.S., Akpokene, O.N., Fashola, D.V. and Famakin, T.C. (2012) Comparative Evaluation of the Nutritional Benefits of Some Underutilised Plants Leaves. Journal of Natural Product and Plants Resource, 2, 261-266. Hayma, J. (2003) The Storage of Tropical Agricultural Products. In: van Otterloo-Butler, S., Ed., Agrodok 31, 4th Edition, STOAS Digigrafi, Wageningen.